So the early May Bank holiday is approaching this weekend in the UK, some of you maybe wondering what to do with your bank holiday whilst others maybe spending their time taking advantage of the Spring Sales. If you are stuck for ideas for what to get in the Spring Sales perhaps you should consider a Raspberry Pi. 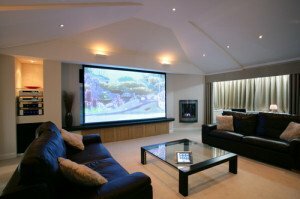 Some of you readers may have read my last article on “6 Cool things to do with a Raspberry Pi over Christmas” this time I revisit the Raspberry Pi and looks at some Cooler projects that you can do with a Raspberry Pi which are a little out of the box.…Join us as we explore the world of Raspberry Pi. Its an extremely small credit-card sized computer that can be plugged into your TV and a standard PC keyboard. It is highly capable and can be used in a variety of projects from easy things for children to make too more complex things and for those with more advance skills it can be made to be like a desktop PC doing spreadsheets, word-processing and playing games. It can also plays high-definition video. What cool things can I do? Yes you heard correctly you can actually build yourself a R2-D2 droid from Star Wars! It was made by Ph. D student Lingxiang Xiang for his girlfriend. And apparently she loves it! It was actually built from a Raspberry Pi, of the shelf electronics and a Star Wars Toy and is equipped with voice recognition, motion detection, distance detection, Wi-Fi, a camera and face recognition software and has been programmed to obey commands like “come here”, “turn left” and “record”. Now if only someone would make C3-PO…. 2. Build a Super Computer! Be a super villain and build yourself a super computer! Professor Simon Cox from the University of Southampton, connected 64 Rapsberry Pi’s together, now bear in mind one Raspberry Pi is about about Pentium 2 grade in terms of processing power, so connecting 64 of them together means you’ve got some pretty serious power at your fingertips. Whats the video of the showcasing the Raspberry Pi super computer. You can read the tutorial here on how to build you own super computer. 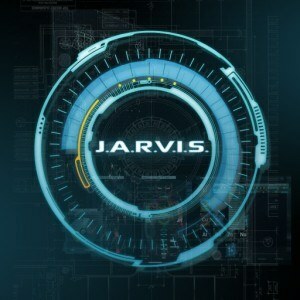 I’ve always fancied being being like Tony Stark from Marvel’s Iron Man, all those gadgets, and suits, its the ultimate dream, and my favorite thing about the Iron Man movies was J.A.R.V.I.S which was the handy A.I that always helped Tony Stark out. Well now its possible to take one step towards this dream with Jasper! Charles Marsh and Shubhro Saha students from Princeton University made an open source version of J.A.R.V.I.S called JASPER that runs on the Raspberry Pi, and use a USB microphone and a speaker and with a little scripting through Python it can interact with a variety of interfaces like Spotify, Facebook and play music. JASPER’s code is available from Github. Following on from wanting to be like Tony Stark some of you that may have seen the movie will have seen that a lot of his home in the movie is automated. Guess what, its also possible to automate your home with the power of the Pi! Iain Hamilton as managed to use a Pi to combine lighting and audio control through a single web interface, and designed a frontend which is is run as a web page from the RPi board. It scalable in that it works from mobile devices and computers. Watch this video of building your own camera. Its a more down to earth project than have JARVIS and home automation but you can build your own camera for taking those useful holiday snaps. The best thing about this is it uses the Adafruit PiTFT touchscreen and the Raspberry Pi camera board to create a touch screen digital camera. You can also add WiFi and Dropbox to automatically transfer photos to another computer or cloud for editing. A Iconic “Carputer” from the 80’s.. 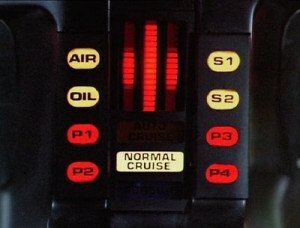 When you were a kid did you ever dream of having a car with a computer like K.I.T.T in Knight Rider?Well i guess with modern cars with get computers in them already but can you build one with a Raspberry Pi? Well Andrei Istodorescu as using a Raspberry Pi and some other components, it can do alot of things that normal car computers can do to. Learn more about Andrei project here. Hopefully you’ve enjoyed this article, it just goes to show that the Raspberry Pi is capable of many things, somethings you’d never think off. If you have some cool ideas of what you can do with a Pi or doing something adventurous with one, let us know. If you’re looking for some good projects to do on the Raspberry Pi why not check out some of the articles which I previously wrote? We also covered some articles on the blog relating to the Raspberry Pi. 64 Raspberry Pi’s will cost $40 x 64 = $2560 (in NJ) which is more than enough to build 8 regular PC’s. Not sure if the 64-Raspberry-Pi computer is more powerful than the 8-regular-PC computer. Although you are correct that financially its not viable to use 64 Raspberry Pi computers and it is likely that 8 regular PC computers would be more powerful however having a Super computer allows you to conduct experiments such as modeling, simulations and more. Its also not purely about speed of the process as well with multiple Pi’s its likely there is less power consumption and there is greater resilience as there are 64 computers over 8 computers so if one goes wrong there is still other Pi’s that can finish the job.